Creation of a private, restricted-use helipad amenity allows for preservation of a large estate property for future generations that would otherwise be dramatically impacted through traditional development. 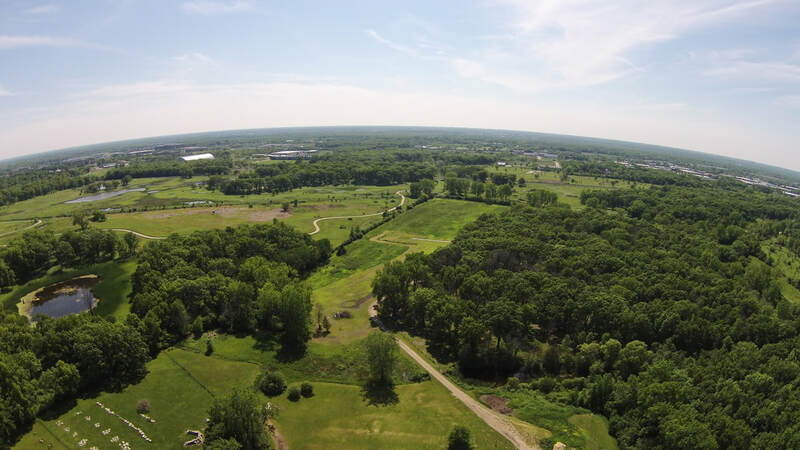 A generational property owner is interested in divesting of a real estate asset with significant development potential at a return respectful of his family, while limiting the impact to the surrounding properties, including the adjacent 500 acre Forest Preserve which he originally helped establish. The Helipad Club is a creative preservation alternative for an estate property which carries significant single-family development potential. The establishment of a private club including traditional athletic, social and sporting amenities, as well as private helicopter service, will allow for the permanent preservation of open space while generating significant tax and quality-of-life benefits for Membership, Ownership, surrounding properties, and the State of Illinois. The three-level entitlement process requires working with authorities on the Federal (FAA), State (IDOT), and local levels, while being sensitive to all environmental and neighborhood concerns for a unique use. Locating the private helipad in the unincorporated area allows establishment of the helipad as a permitted use. To qualify under the zoning ordinance, the owner is required to down-zone the current entitlement, preserving and protecting a portion of the subject property in perpetuity. A sensitive design and gifting of development rights preserves the balance of the subject property while generating an acceptable return on investment.